Some people spend most of winter trying to avoid the ice, snow and most of the things that make it, well, winter. Not so the attendees of the Québec Winter Carnival, who revel in the frigid surroundings to celebrate the joie de vivre of the Carnival season. Among other cultural highlights from their homeland, the habitants of the New Francecolony brought with them the tradition of getting all the partying out of their system—eating, drinking and being merry—before Lent. In 1894, Québec City held its first large Carnival, but a consistent annual event was interrupted by two wars and an economic crisis before the first official edition of the Québec Winter Carnival took place in 1955. Since then, many popular events that take place during Carnival seem to be ageless, even if they weren’t part of the festival’s beginnings. 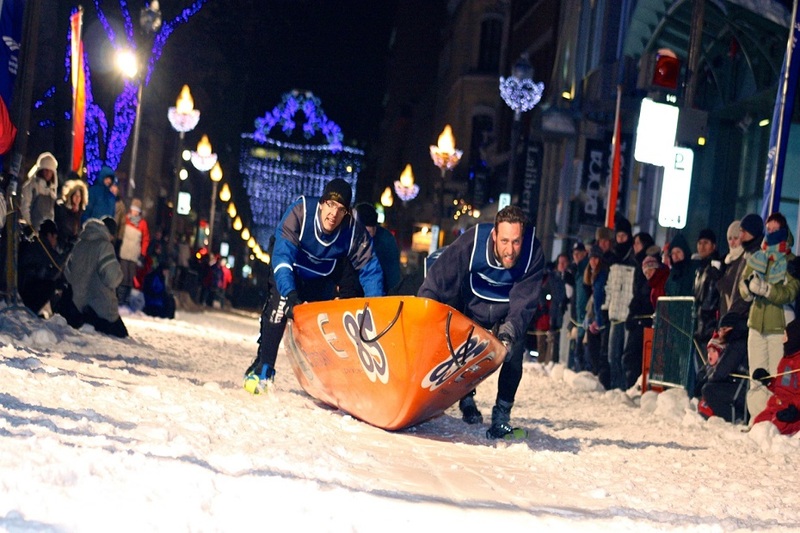 Snow sculptures, winter sports, and traditional Québec activities like dogsled and canoe races are beloved highlights of the largest winter carnival in the world. If you want to get the best of the Québec Winter Carnival, it’s best to learn more about the traditions and symbols that are a huge part of the winter event. First off, find a long, red plastic trumpet, employ some more red in your costume, and get an arrowhead sash—a belt worn by Bonhomme Carnaval (the mascot of Carnival season). 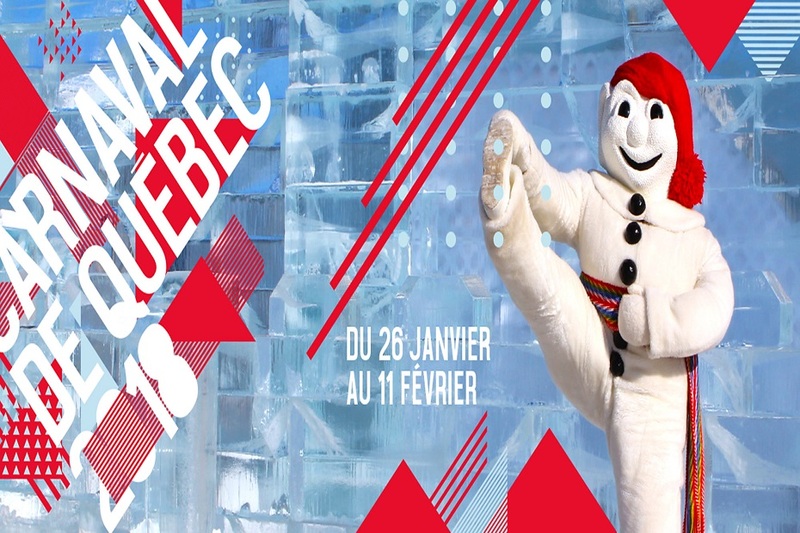 Speaking of Bonhomme, he’s the snowman you see in everything that mentions the festival—complete with his half-moon smile, red cap, and arrowhead sash. He’s the personification of the joie de vivre of the winter celebration, and is extremely popular with kids. When he shows up on the first day of Carnival, he’s given the key to the city and is in control until Lent. There are so many pieces to the Québec Winter Carnival that you’re bound to miss something, no matter how hard you try to catch it all. But if you want a short list of things to absolutely not miss, start with the Ice Palace. Built with bricks of compacted snow and lit with colored light displays that make the palace look like an iced dessert, the palace is the center of many Carnival activities. Surrounded by the many snow and ice sculptures carved from blocks of snow by artists from around the world, the palace is the centerpiece of a temporary annual winter wonderland. A competition hailing from the beginning of Carnival celebrations in Québec, the Canoe Race features several teams paddling on the St. Lawrence River between Québec City and Lévis. Dress warm to watch both the preliminaries and the final, drink some hot Caribou, and you’ll be glad you’re watching and not participating. By all means, stick around in the evening to watch the Night Parades, which take place on the second and third weekend of the Québec Winter Carnival. For some attendees, they’re the best moments of the festival.